An in-depth study on the guitar style of Ewan Dobson. 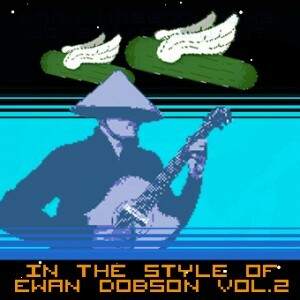 This second installment is a continuation of In The Style Of Ewan Dobson Vol.1. The lessons in volume 2 are self-contained but refer to certain techniques covered in volume 1. -Passages from his compositions (see list below) are broken down and explained in great detail. -Pertinent examples are fully transcribed in TAB and standard notation. -Alternate live version of Time 2. Includes video lesson, mp3 and full transcription. With over 10 million YouTube views in 2011, a growing army of crazed fans around the world, and numerous music awards under his belt, Ewan Dobson has established himself as one of Canada’s most brilliant and exhilarating young guitarists. The development of Ewan Dobson into the artist that he is today has been an eclectic journey to say the least. After humble beginnings with his first electric guitar playing heavy metal and hard rock music to the structured discipline of his classical training, Dobson has expanded his repertoire to include Bluegrass, Metal, Canadian folk, Techno, Trance, Video Game and Contemporary Fingerstyle music. The culmination of all of these diverse influences has fueled his creativity to compose his own unique brand of music and resulted in creating the captivating artist that he is today.